Peter Kanzunguze Jr. describes his experience of the Global Youth Leadership Forum and how it has empowered him to advocate for an inclusive society! During the Special Olympics Global Youth Leadership Forum in Baku an important role will be played by the athlete leaders of the movement. 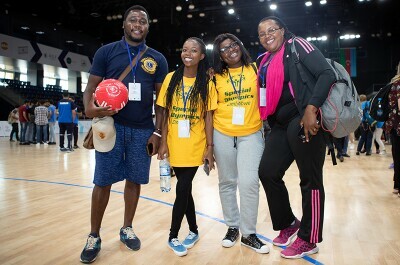 Young people with and without intellectual disabilities from 45 countries will join leaders at the Special Olympics Global Youth Leadership Forum in Baku, Azerbaijan. 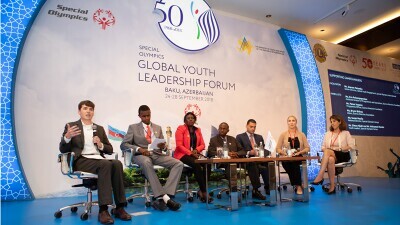 In celebration of the 50th Anniversary of Special Olympics, the 2018 Global Youth Leadership Forum comes to Baku, Azerbaijan from 24 to 28 September. A total of 40 girls, aged 14 to 17, and their coaches gathered at the Baku Sports Palace for their first Unified Football training. More than 300 youth and adult leaders from approximately 30 countries will gather Sept. 24-28, 2018 for an inclusive leadership forum.